So happy to know that this difficult moment passed away! welcome back, hun. I'm glad to hear your mom is doing better. This is such a great look. I;m ordering this romper. And probably that denim. lol. Welcome back!!! So beautiful your blue piece!!! Have a great day!! Such a pretty look! The denim jacket is the perfect choice for this fun spring outfit! Love everything about this post. The outfit and bike are fab. Crazy about that purse. Is the clip bamboo? Anna, I'm so happy to hear your mom is on the mend and you're no longer trapped in the hospital. This is a great outfit for your first one back. I've been more and more impressed with Abercrombie's pieces lately. I'm so happy that you are back and your mother is getting better. I hope she will be fine very soon. Like this style and that romper. I always love the style and clothe from abercrombie. The fabric are always so soft and comfortable to wear. nice pics and lovely look! Oooh such a cute bike and lovely outfit! I can't believe that jumpsuits from Abercrombie and Fitch. I love it. Love this outfit, Anna. The mix of blues go great with the bike. Yeah, your back!!! So happy to see you posting. Hope mom and dad are doing better and on their road to recovery. Its good to have you back!!! Hope everything will come back to normal. so springy! and that yellow bike makes for a great prop! Cute romper. Love the lace detail. Hope your mom is doing better. You look gorgeous! Love that romper and that scarf! And of course your hair is amazing. Cute, love the romper and the yellow bike! 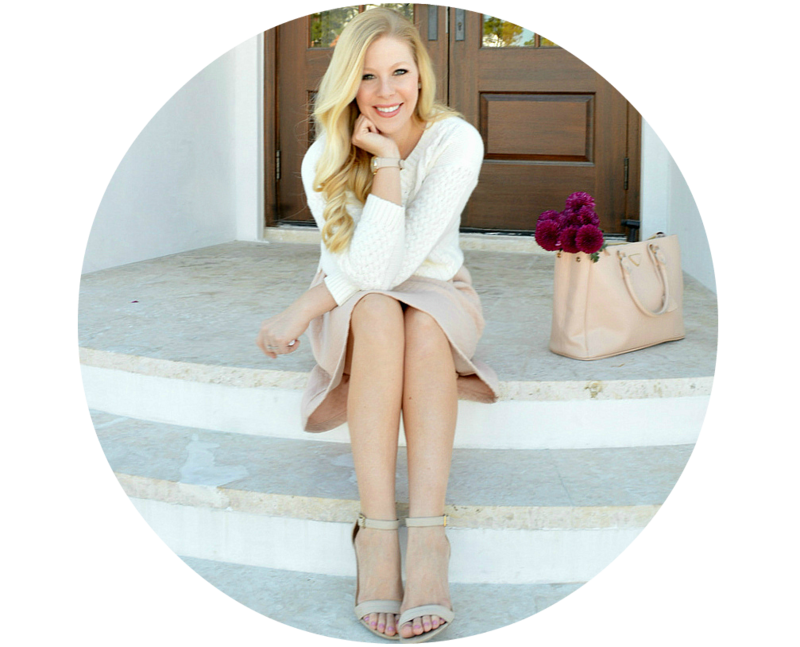 this is the perfect spring outfit! It's so cute and you look gorgeous. Welcome back. A warm welcome back to you! I hope that your mom stays on the up and up! Love the romper...so fun for warmer weather! Glad to see you're back! Very cute!! I love that skirt..
so glad you're back! <3 the look!!! Loving how you layered that romper, so perfect for spring! Such a cute look! Loving your scarf! Hi Anna, So glad you're back and you look adorable. You've been through so much the past couple months and I hope your mom is feeling better each day. I love that you added the yellow bicycle in this post too to add to the sunshine. Nice to have you back! :) Love that scarf and I am so jealous of your hair, it looks so shiny! Welcome back - glad to hear your mom is on the mend. Your bike is like a dose of sunshine! Glad the weather is cooperating for you. It's still in the 40s here but I can feel spring coming! What a fun outfit! I love the scarf and jacket. So pretty! I love this outfit, so cute and girlie...yay the sun is starting to shine here too! I can't wait for a good pedicure and to get my dresses out! Thank you for stopping by my blog sweetie, I was so touched that you took the time. So pleased to hear that you are back home, hopefully back to some normality and of course looking as gorgeous as ever! How cute is your bike?!! I love the detail on the hem of your romper! Perfect spring outfit! My thoughts are with you and your family. I love rompers. so cute and comfy.. and love your bike too! Lovely look! I like your bag!The rompers is amazing! Adorable shorts! 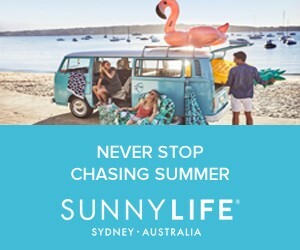 and love those sunnies :) Just came across your blog, enjoying all your posts! I just started mine about 2 months ago, check it out when you get a chance. This romper is so cute, love the yellow bike. So glad you are feeling better! OH MY, I love this bike!! It's great to have you back, and I absolutely adore this outfit!! 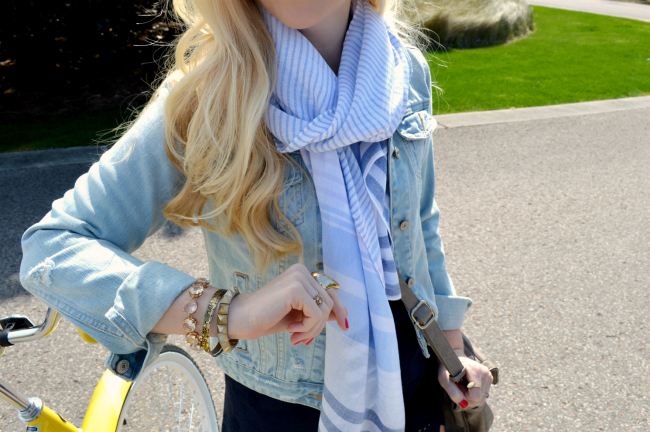 Love the romper paired with the scarf and denim jacket! So cute!